Philip Masser, M.D., was recently awarded the Volunteer Faculty Award by Boonshoft School of Medicine at Wright State University for his time and effort to further the program’s mission without compensation. According to a statement from Wright State University, the award is presented annually to a voluntary faculty member who exhibits a strong commitment to teaching while serving as a role model to Boonshoft School of Medicine medical students. 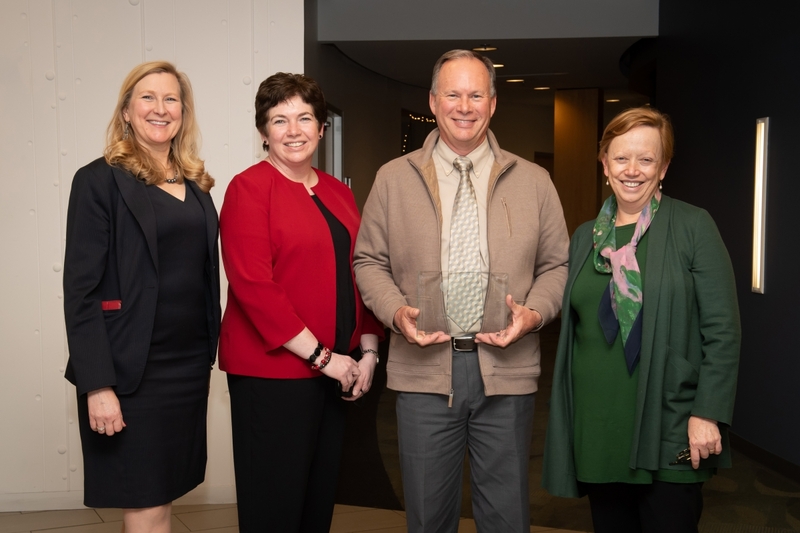 Dr. Masser was nominated by Lori Martensen, Rural Health Initiative Director at Wright State University, for his important role in supporting the rural health program. According to Martensen, Dr. Masser volunteers to take medical students more often than any other rural family medicine preceptor. Dr. Masser also inspires students with his commitment to the community. He currently serves as team physician to the Celina High School football program and previously served Mercer County Health District in various positions, including medical director, for 31 years. “He demonstrates to the students how important of a role a family medicine physician plays in the lives of his patients and community,” Martensen said. Dr. Masser currently practices at Mercer Health Medical Group at Celina Pro. He has been serving patients in Mercer County for 35 years.